The must-read summary of Guy Kawasaki and Peg Fitzpatrick's book: "The Art of Social Media: Power Tips for Power Users". This complete summary of the ideas from Guy Kawasaki and Peg Fitzpatrick's book "The Art of Social Media" explains how social media has become one of the most effective ways to market a product, promote a business and communicate with customers. In fact, social media is now so important that it can make or break your marketing campaign. This means that it is essential to learn how to use it effectively, by becoming a "power user". There are just three steps involved in becoming a social media power user: build your foundation, amass digital assets and then go to market as required. This summary will take you through every step to ensure you get the most out of social media and extract maximum returns for your marketing dollar. 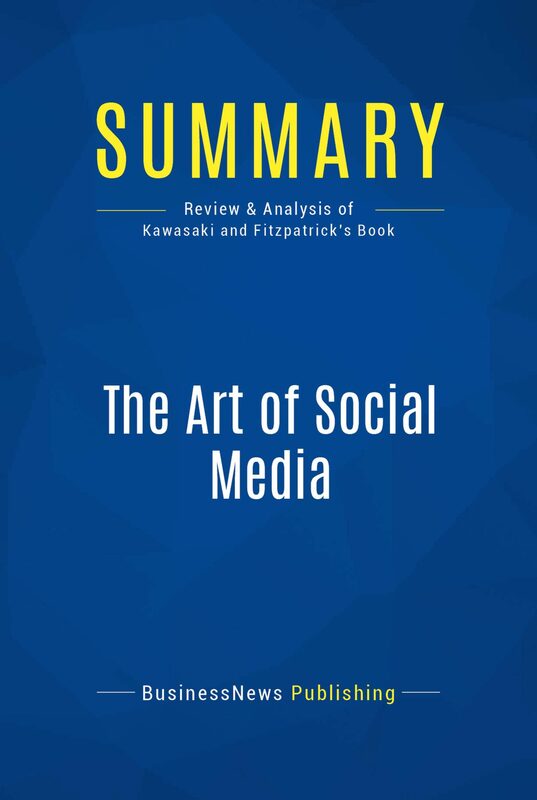 Added-value of this summary:• Save time• Understand key principles• Expand your marketing skillsTo learn more, read "The Art of Social Media" and learn to use social media to your advantage.